Dr Anderson is an experienced director and is currently chair of BRANZ, MBIE’s Building Advisory Panel, and Wellington branch of the Institute of Directors. She recently chaired the technical inquiry into the performance of Statistics House during the Kaikoura earthquake. Dr Anderson is a Chartered Fellow of the Institute of Directors and she sits on the Institute of Directors National Council. 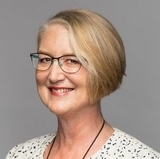 She holds other directorships in the research, software and technology area including Massey University (Pro-Chancellor), NIWA, DairyNZ, Antarctica NZ, ClearPoint Ltd and Blinc Innovation Ltd. Her last executive position was as Chief Executive of MoRST for six years, and before that, she was Chief Scientific Adviser for the Ministry. Dr Anderson has a passion for research and the impact it can have on New Zealand. She holds a PhD from Cambridge University in seismology (and in particular large earthquakes), and was a research scientist for 17 years. She has been honoured as a Companion of the Queens Service Order and she is a Companion of the Royal Society of New Zealand.